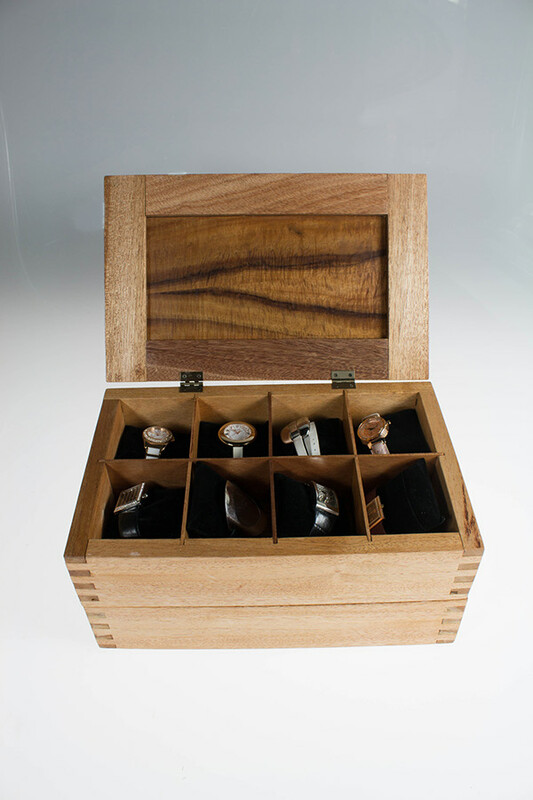 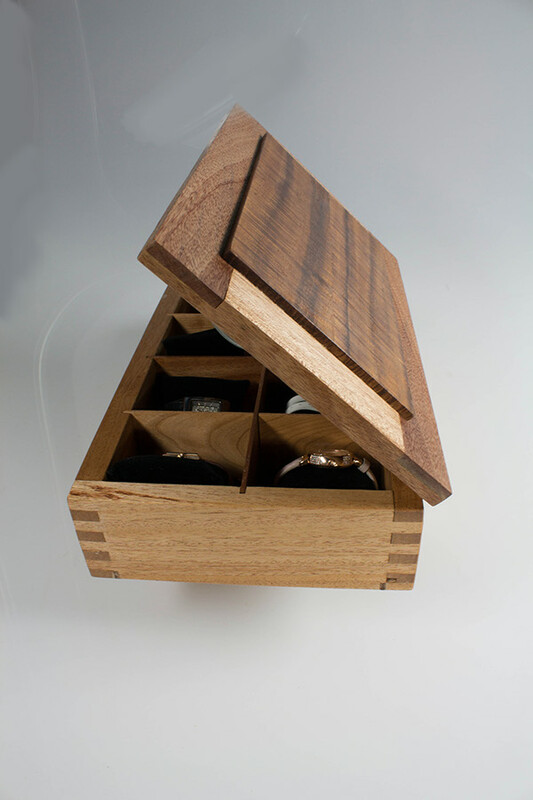 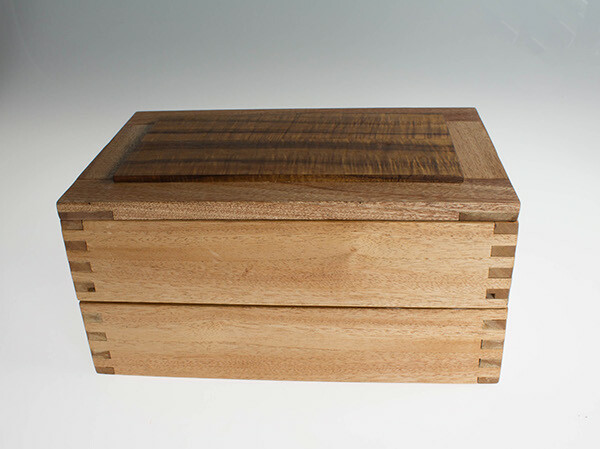 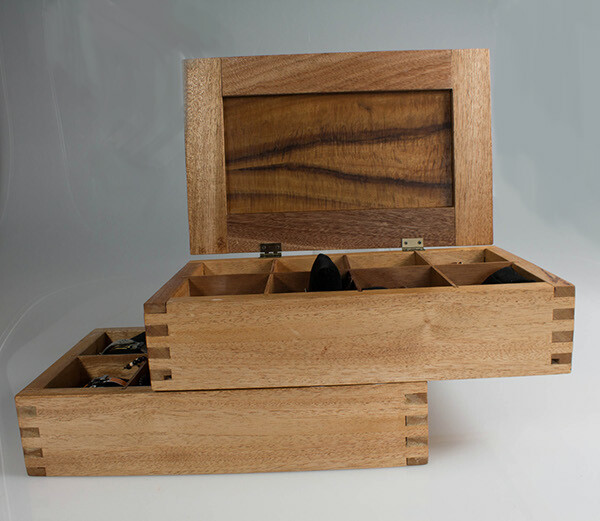 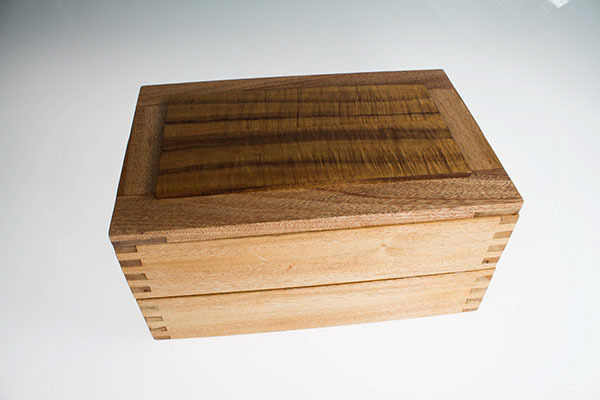 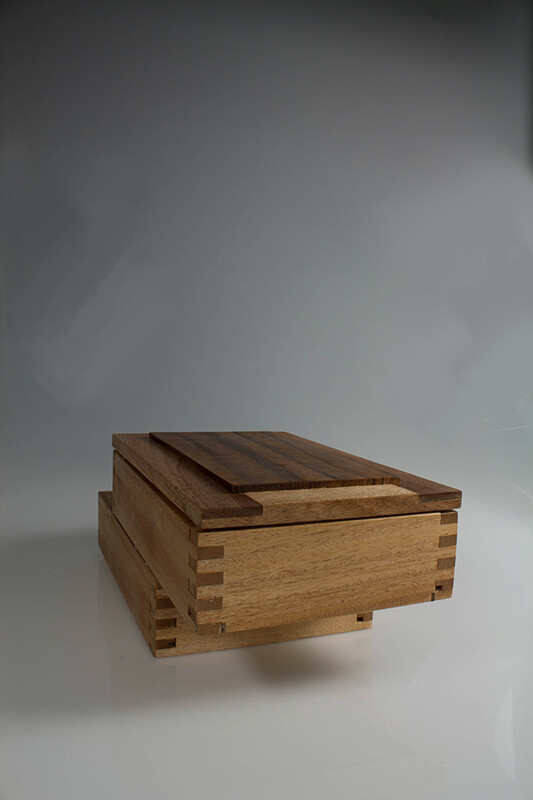 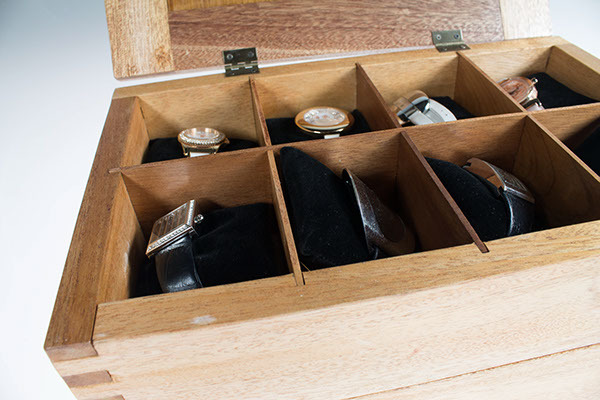 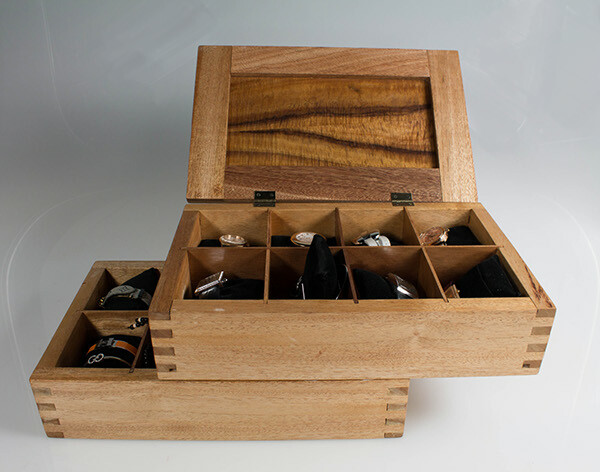 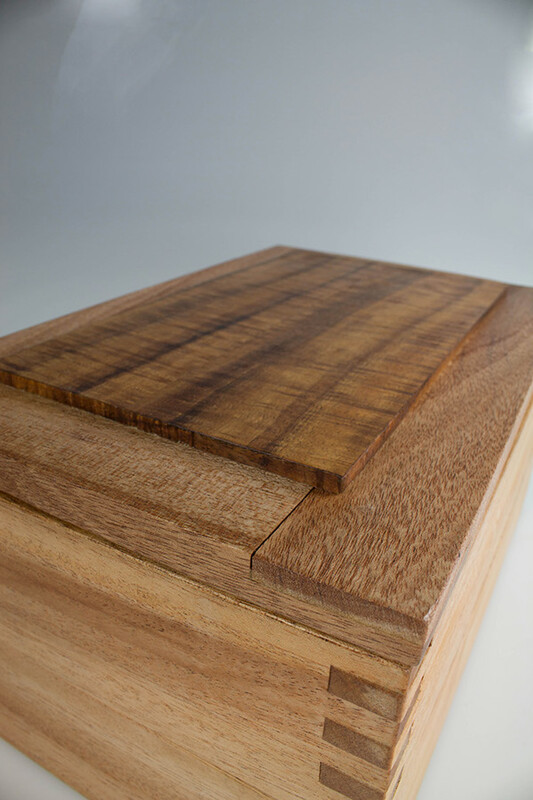 This project was to make a box for watches with simple techniques such as finger joints, lap joints, ect. 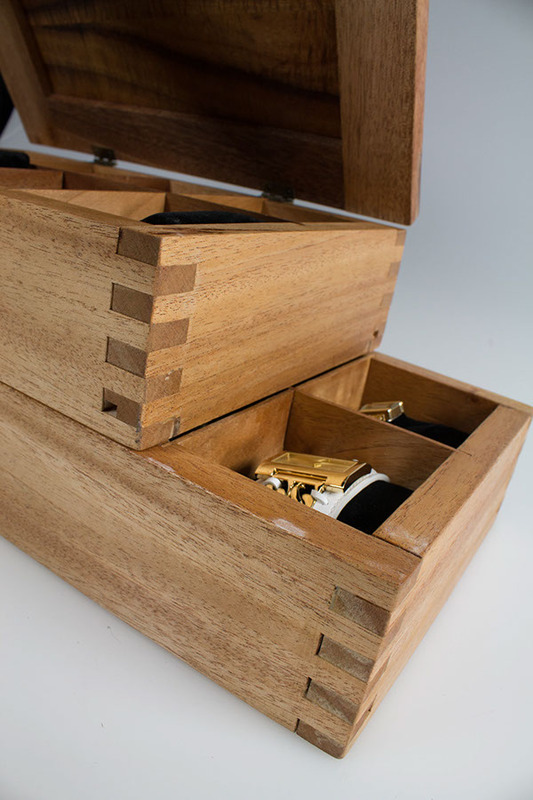 The boxes can be separate into two. 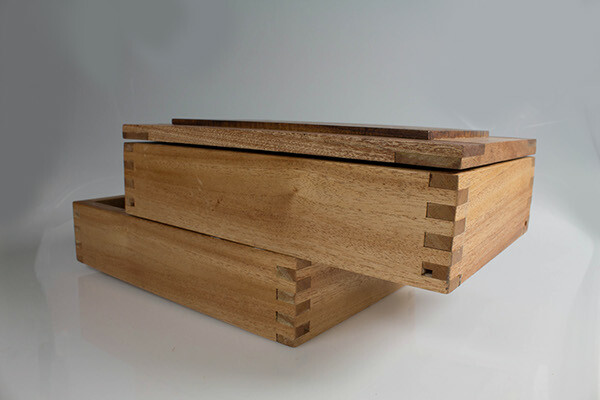 The top box could slide to both left and right.